Politics is very simple. Political campaign is simpler. You target your voters, know them and develop a message for them. That message must be repeated until the target voters are convinced that you are the best candidate or party. Of course if you have lied to the voters before like the Malawi ruling Democratic Progressive Party (DPP), it doesn’t matter how many times you repeat the message, proven liars always lose. While delivering your message to the target voters, you also have to work hard to discredit your opponents so that they should not get votes from your target voters. But you can only discredit them with the truth, not lies. That’s why you have to dig very deep to find incriminating information about your opponents. You can’t use lies. Voters can easily know lies. If your political opponent makes you spend sleepless nights like what Dr Saulos Chilima and UTM is doing to DPP, incriminating information should come in handy. Since UTM was launched, DPP has been hit very hard with the high probability that it will lose elections next month. DPP has tried all sorts of tricks to derail the Chilima and UTM train but failed miserably. UTM has spread like fire throughout Malawi. DPP tried buying beer for people to drink near UTM rally venues in order to decrease attendance but failed. The numbers at UTM rallies kept swelling. DPP brought live band entertainment to counter UTM rallies, conducted rallies on the same dates and near UTM rally venues. DPP torched UTM branded cars to disturb UTM rallies but failed. They tried blocking UTM registration as a party and miserably failed. If DPP had what it’s calling Chilima’s ‘skeletons in the closet’, it would have dropped them long time ago. 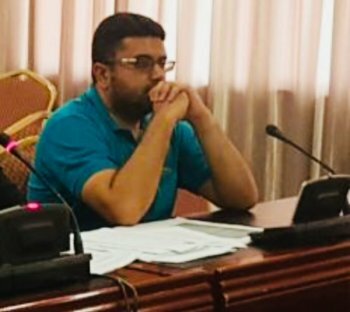 It could not have waited for Chilima’s revelations about DPP’s corruption at Malawi Revenue Authority (MRA) and Malawi Communications Regulatory Authority (MACRA) among other government departments. The fact that DPP says Chilima has ‘skeletons in the closet’ seven months after UTM was launched means they have nothing on him, absolutely nothing. 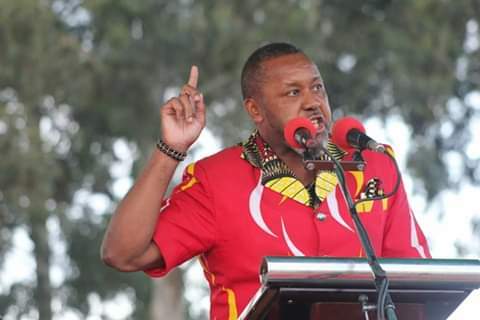 By warning MRA and MACRA to stop siphoning tax payers money for DPP political campaign, Chilima has hit DPP very hard. DPP is embarrassed because it thinks nobody knows the extent of it’s thievery. DPP is the mother all thieves. What Chilima has revealed is just a tip of an iceberg. DPP is on a corruption spree of unprecedented levels. It’s not the first time DPP is using government departments to siphon money for party use. 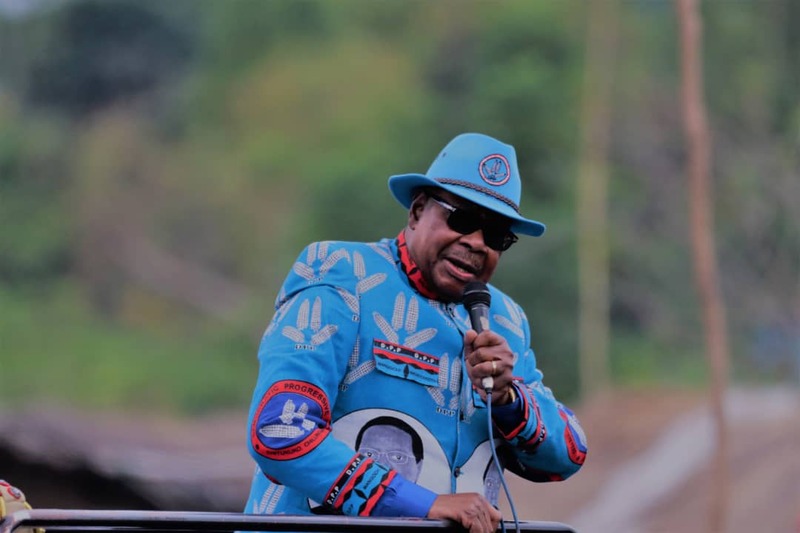 At a fund-raising dinner and dance branded ‘Blue Night’ at Kamuzu Palace in Lilongwe where President Peter Mutharika was the guest of honour, DPP received about K13.5 million from public institutions as ‘donations’. The highlight of DPP’s corruption was when in 2018, the country learned with shock that DPP and Mutharika benefited from a Malawi Police Service fraudulent procurement deal. The party pocketed MK145 million in a procurement scandal masterminded by some senior police officers that defrauded the taxpayers of MK466 million in a ration racket of over MK2 billion through a fraudulent contract the police entered into with businessman Zameer Karim trading under a company called Pioneer Investments. The Police paid him an extra MK466 million on the contract without following procedures. Out of this money, Karim paid MK145 million to DPP through an account which President Peter Mutharika is a sole signatory. Most of the times, when figures like MK466 million are mentioned in corruption scandals, it is not easy for some people to visualize what such money could have done if it was used properly for the development of the country. This money could have constructed a community college like Aida Chilembwe Community Technical College which was constructed to the tune of 446 million Kwacha. This helps to visualize the magnitude of loss of resources due to corruption. We challenge DPP to bring out the so called Chilima’s ‘skeletons in the closet’ now for Malawians to see. But we know DPP will keep making noise and bring nothing. Chilima is the cleanest presidential candidate Malawi has ever had. He has promised to flush all corrupt politicians out. The current DPP noise, which sadly is being perpetuated through Malawi government official paper and online accounts, is just scare tactics that will not work. In life you don’t wash a garment if it is not dirty. Patseni Mauka is trying to be knowledgeable and yet he is beating about the Bush. If Chilima us clean then there is no point of defending him, why the defensive mode. DPP couldn’t waste time laying bare Chilima’s chicanery. Malawiabs are in a better position to discern what is of substance and what is trash.